Not everyone wants to pay a monthly membership to workout. There are people like you and me who like to workout at home in our own gym. There are various options that you can do to setup your gym at home and it will come down to how much space you have, your goals and budget. Why don’t you try to buy a home gym to do circuit training by your own way? And one of the most popular brand is coming from Bowflex. There are Blowfex Blaze and Blowfex PR3000. Which one that you will choose? You should read this article first and we recommend the best for you. The Blowflex Blaze is features with a fully functioning lat pulldown bar, leg presses can be done on the machine, and included manual breaks down all exercises available on the machine. Blaze also provides a manual that’s worth reading. You will find over 60 even more exercises to give you a complete workout once if you crack open the book. We will be provided much by the Blaze with more exercises overall, and these include squats, leg press, shrugs, reverse flys, bench press (decline, flat, incline), crossovers, reverse crunch, seated crunch, trunk rotation, tricep extensions (lying, cross), French press, bicep curls (laying, standing and seated), and so much more that we could not mention them one by one. The seat from Blaze is more adjustable so that you can perform your exercises while on your back and you have more options to target your chest muscles. Take a look: Bowflex Blaze vs Xtreme 2. 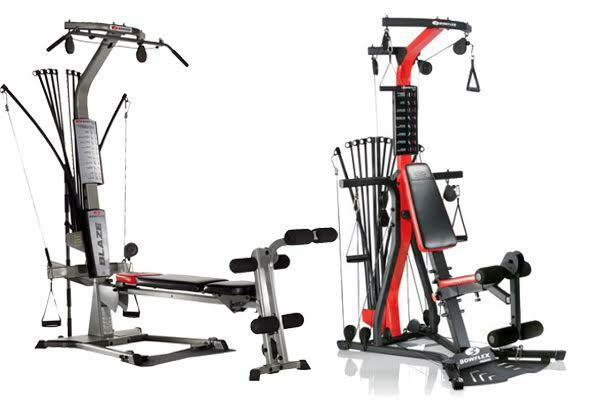 The Bowflex PR3000 is the way to help you reach new fitness heights. It can allow you to remove the seat and leg extension for true squat freedom and provide a robust workout plan in the manual. The manual for the PR3000 lacks the robust exercises listed that the Blaze offers. A lot of the exercises that are not listed can be performed, and this does a disservice to users. This gym machine can be done 25 of the 50 exercises and users are allowed to perform are listed. If you are a type of person who less doing exercise and fitness experience, please take a look into key exercises to add into your routine. But the manual does go over a rather robust workout routine that walks users through a complete program to boost their fitness. The exercises that you will be able to perform are bench press, seated shoulder press, lateral raises, shrugs, back extensions, pulldowns, triceps, bicep curls, and many more exercises. When you are doing squats on this PR3000, you will feel comfortable with the seat detaches to allow for proper form and full range of motion. The main difference in the PR3000 compared to the Blaze is that it has a vertical bench. So, this means you will be doing your bench press sitting up vs laying flat on the bench. PR3000 also has a better leg attachment more than Blaze. The dimension of PR3000 is also larger although you must more with much higher price. The option is on you.